The Churchfitters is a folk group like no other. A double bass made out of scrap metal. Heart-wrenching vocals accompanied by a musical saw. Foot-stomping fiddle mixed with infectious funk-rock rhythms. 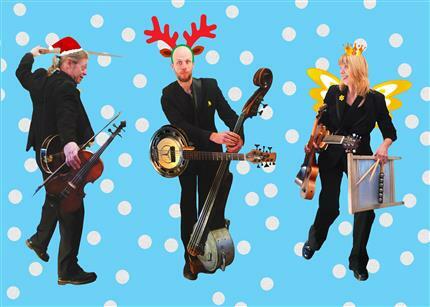 Their “Christmas Cracker” show is a mouthwatering selection of traditional and original festive season songs which will see Christmas in with a bang, a paper hat-full of surprises, novelties – and some terrible jokes too!